Relocating to a new house is stressful enough without having to worry about the logistics of an entire move. So when it comes to the heavy-lifting (literally), leave it to the professionals — professional movers, that is. Experienced Fort Myers, FL moving companies consist of expert movers and packers who can efficiently pack, move and assemble your Fort Myers belongings to ensure that you get off to a good start in your new home! From residential to commercial moves in Sarasota including industrial equipment, we have the ability to move it. Moves are performed through out the state of Florida, up and down the Eastern Corridor (Florida to Maine) and parts of the mid-west. Specialty items include: Safes, Pianos, Office Equipment, Model Homes. Services include: Full Pack and Move, Packing only, Moving only, FF & E only, Truck Loading only (Penske, U-Haul, Budget), Local in Florida, Long Distance across country. Uniformed, Professional, Trained, Licensed & Insured. 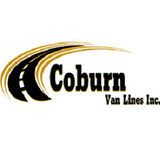 Coburn Van Lines, Inc. is a reputable company focused on local & long-distance moving & storage. My name is Cameron. If there is love in your heart, we will come pick you up. We provide moving services from one item to a truck load. We can provide packing services. We have a list of very happy customers from business owners to home owners. Arpin Van Lines, headquartered in West Warwick, Rhode Island, is an industry leader in household goods moving and storage services for corporate, government, military, and residential customers. With over 100 years of experience and a reputation for providing excellent service, Arpin Van Lines is the only U.S.-based, family-owned and operated moving and storage company that has remained dominant and successful for more than a century. Quality driven and privately owned, Arpin Van Lines' core philosophy has always been Creating Customers For Life®. 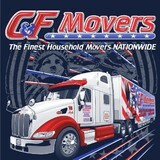 We are a customer-centric moving company. The Official Mover of the LPGA, Arpin Van Lines has over 385 agency locations throughout the United States. Arpin Van Lines is a division of Arpin Group, Inc., which also includes Arpin International Group, Creative Storage Solutions, and Arpin Renewable Energy, LLC. Pampered Movers of Sarasota, LLC. Super Mover Moving & Packing, Inc.